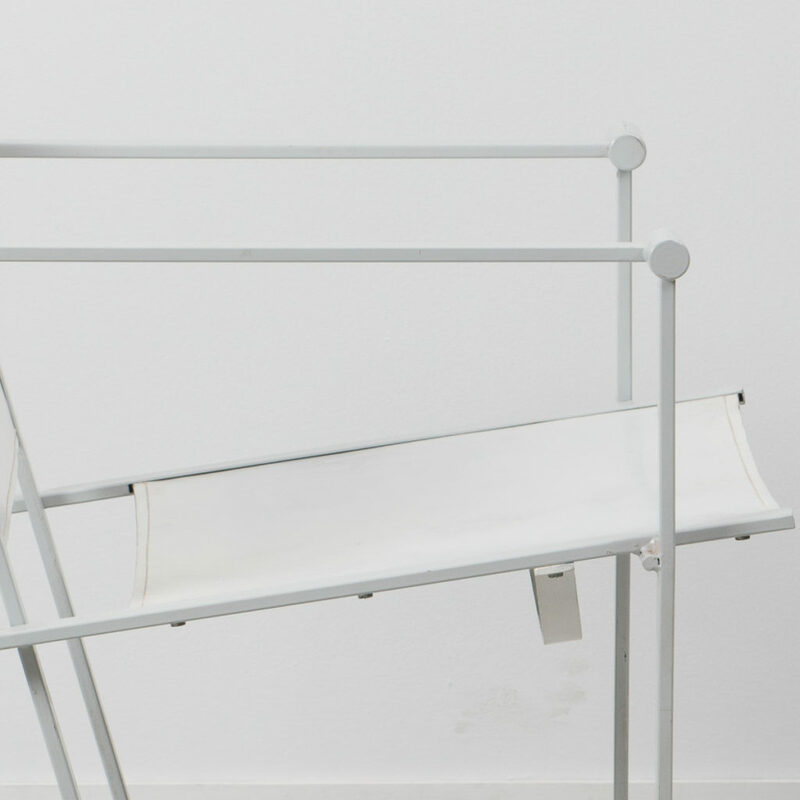 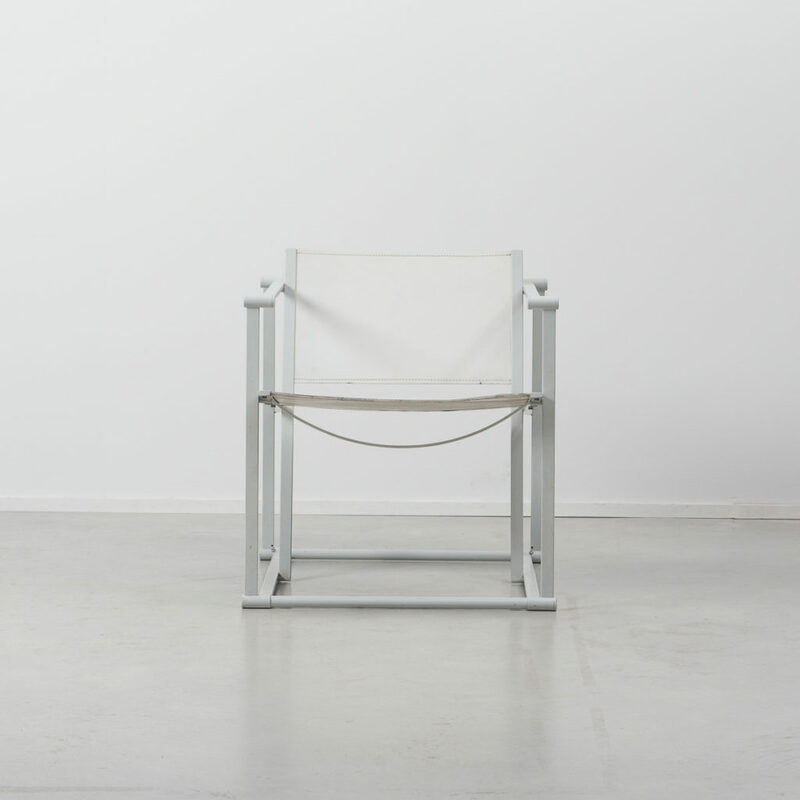 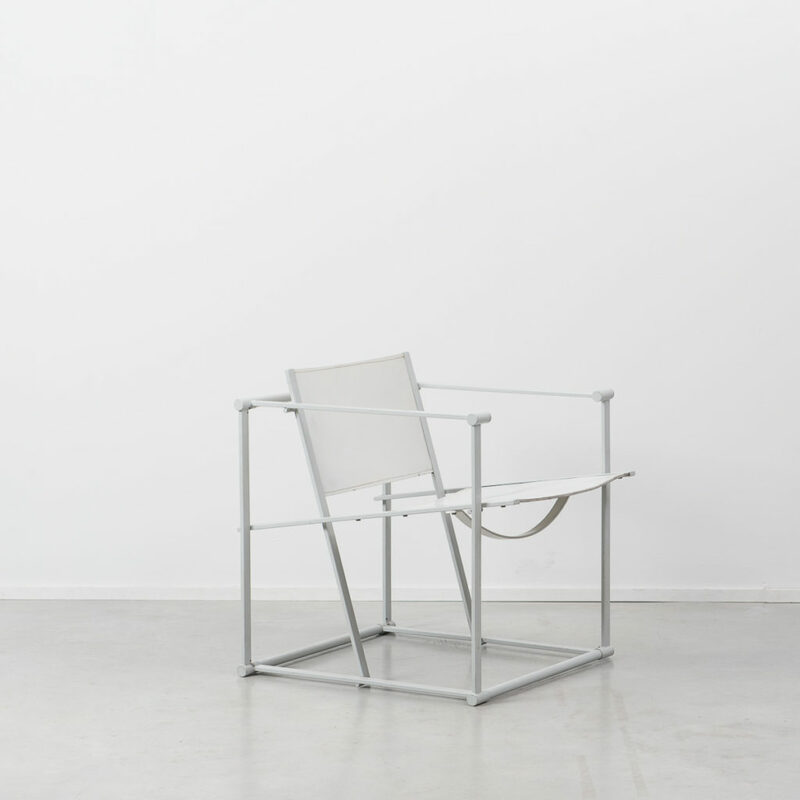 This FM60 chair was designed by Radboud Van Beekum and manufactured by UMS Pastoe. 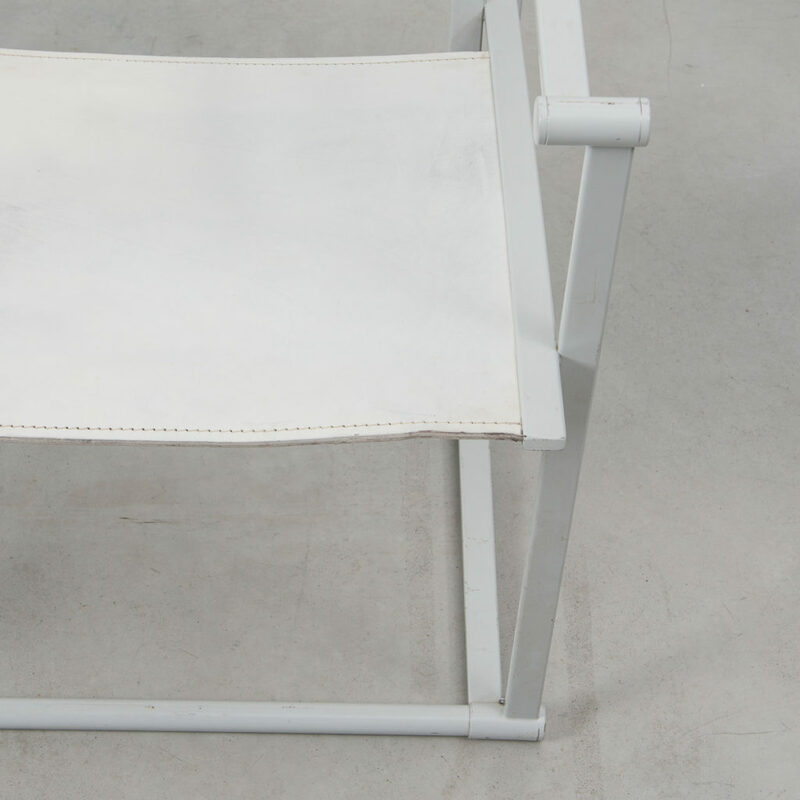 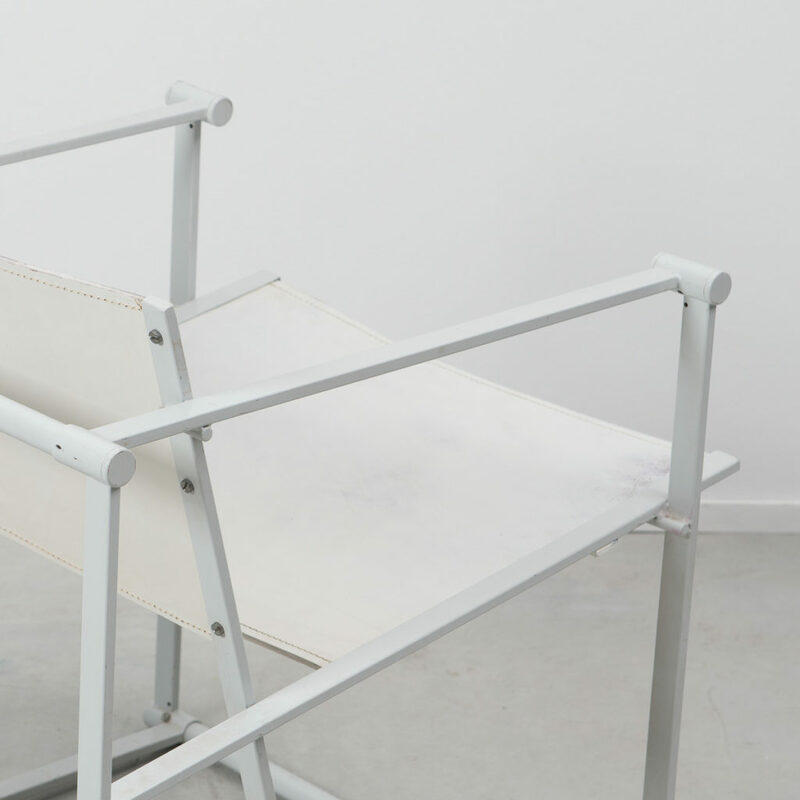 It has a white folded metal frame with off white leather seating. 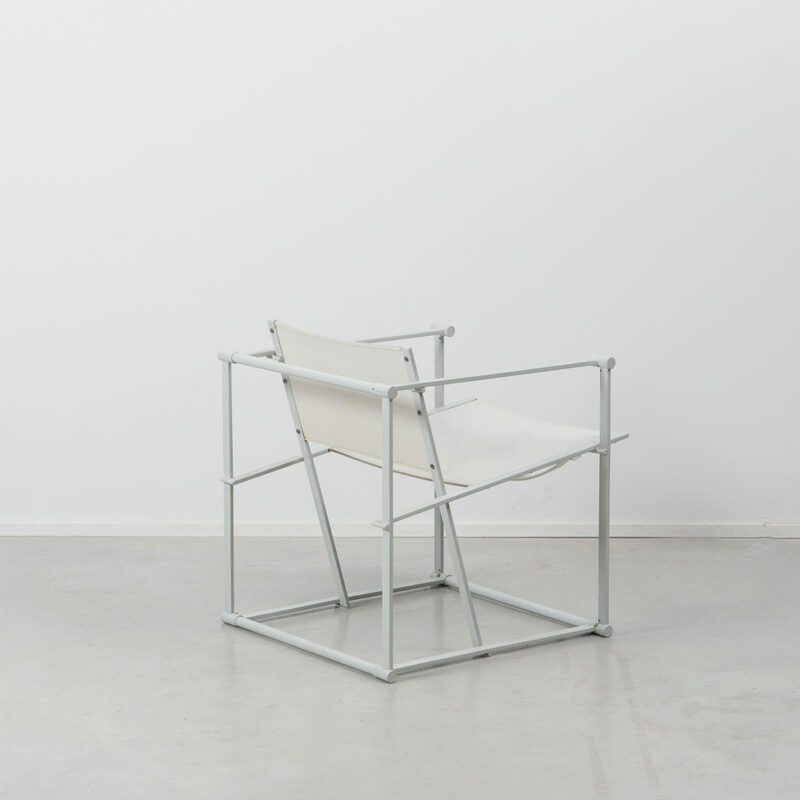 Following in the tradition of the De Stijl movement, the FM60 series is inspired by the designs of Gerrit Rietveld. 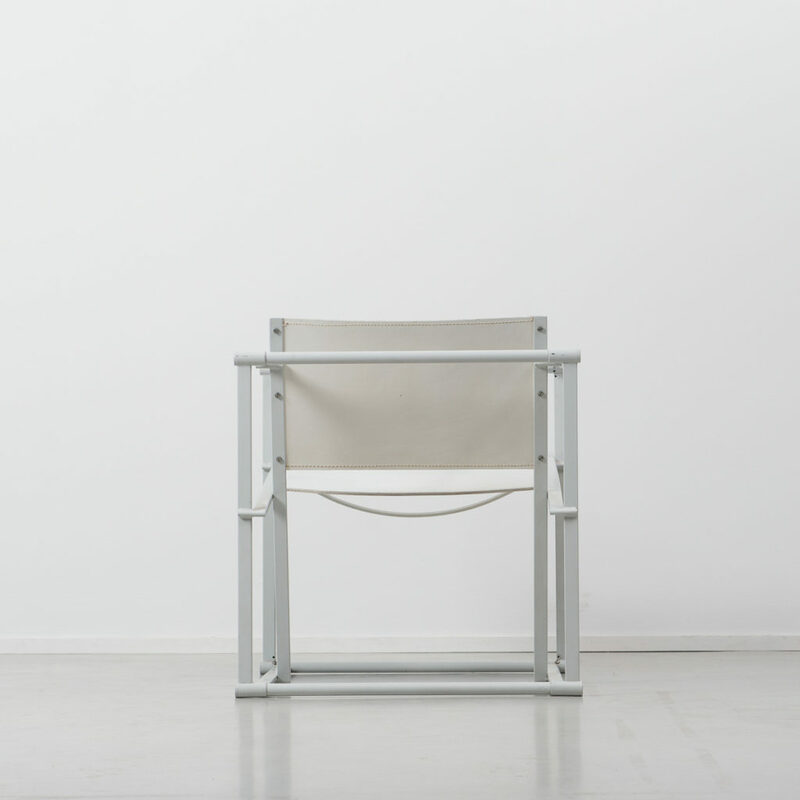 The Cube chair was intended to be a progression of Rietveld’s seminal red and blue chair. 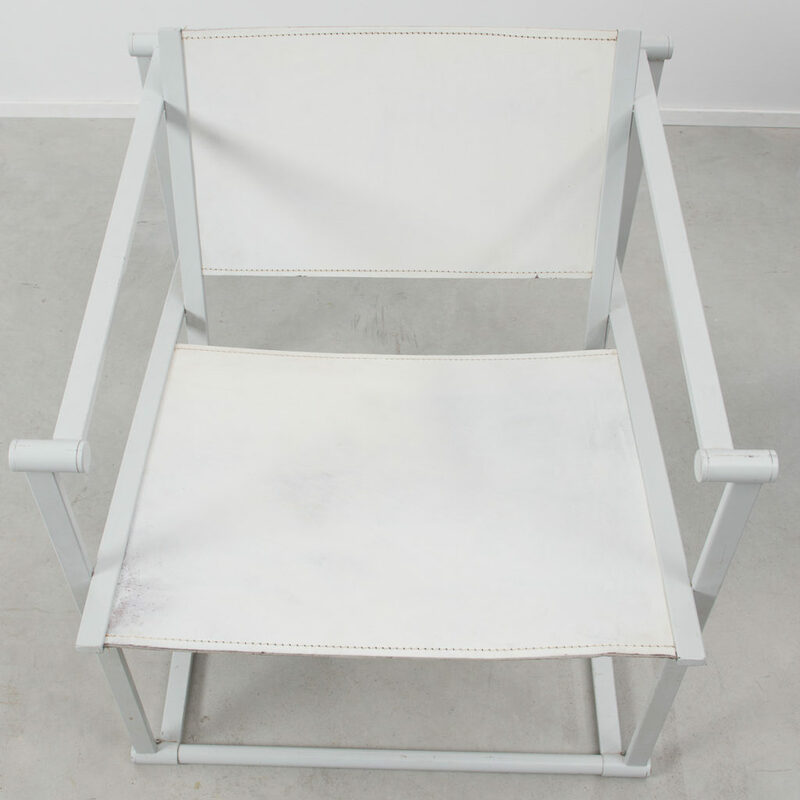 Other editions came with canvas and ply seating. 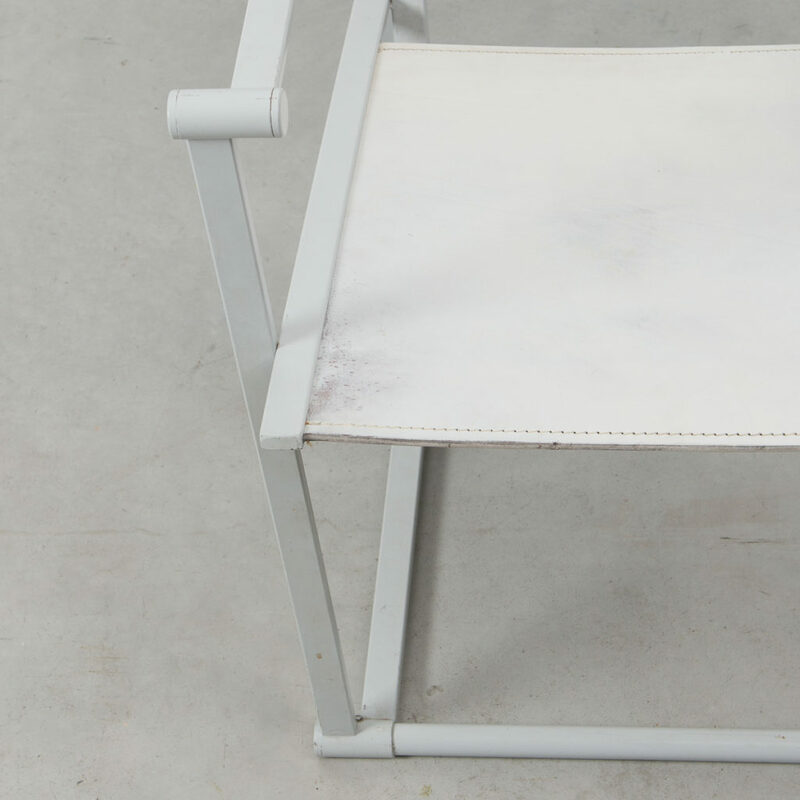 The chair is in great original condition with some discolouration and patination to the seating.